The Woolley Market will carry everything needed for healthful meals, with local products in the mix. Before Will and Tahlia Honea got married, food dominated their dating life. “He brought me silver salmon and fileted it on my counter, local beef from Skagit River Ranch, chanterelle hunting … it’s been part of our relationship from the very beginning,” said Tahlia. 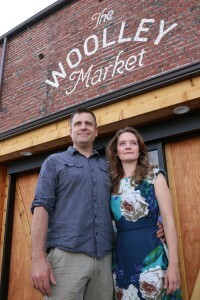 That passion for food has taken a turn that should benefit everyone in the Upper Skagit Valley and beyond: The couple will bring a new local grocery store, The Woolley Market, to Sedro-Woolley at the end of July. “Will and I both are completely obsessed with food and cooking, so we’re excited to share that with everybody else,” said Tahlia. 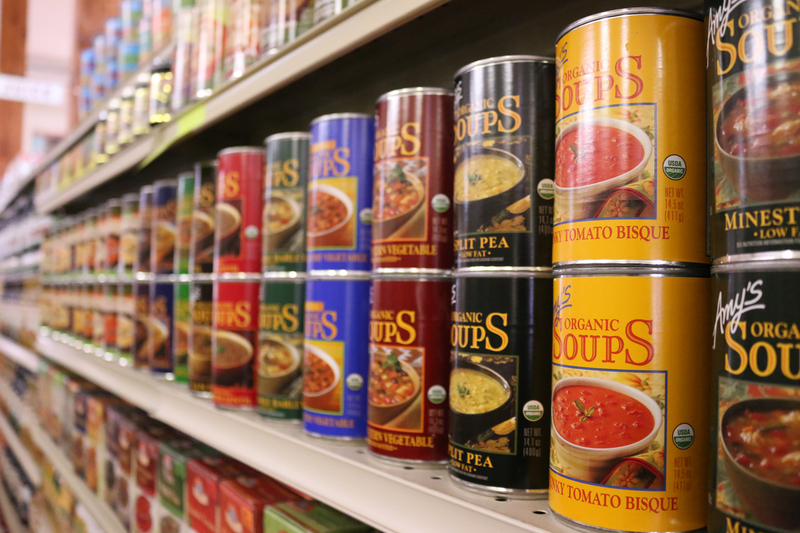 Housed in the old J. C. Penney Building at 829 Metcalf St., the market will use its approximately 10,000 square feet of sales space to fulfill a wish the couple has had for several years: better food options for groceries. The Woolley Market will sell “real food from around here,” according to its tagline. Customers will find a deli, fresh produce, meats and seafood, general and bulk foods, health care products and supplements, household goods, pet foods, local clothing, and other products. But the Honeas want the market to be more than a grocery store. They want it to be a food-based community hub. The Woolley Market is set up as a Social Purpose Corporation, a relatively new corporate form that allows owners to write into their articles of incorporation social purposes other than profit. A facet of the grocer’s purpose is showcasing the history of Sedro-Woolley and the Upper Valley. When The Woolley Market opens, the store’s interior may be the best-smelling museum customers have ever visited. The couple started with the building itself. The iconic structure is at a core intersection and already had plenty going for it. “We didn’t have a huge budget; we just needed to restore what’s here,” said Will. They got rid of the carpet and discovered a bigleaf maple floor. Beneath plaster and wire lay boxed heartwood columns. Deli table bases are fitted with old tractor discs. All the window trim was milled from bigleaf maple Will found in Sedro-Woolley Police Chief Lin Tucker’s barn and bartered for. The pictures at the front of the building’s interior are from Sedro-Woolley Councilman Brett Sandstrom’s collection of Darius Kinsey photos. No one’s quitting their day job to make this dream a reality. Will is chief civil attorney for Skagit County; Tahlia is a real estate broker. Will said he cut his schedule back and took vacation time to get the project going, and gathered elbow grease and financing help from friends and business associates in the area. “Everybody has their own issue when it comes to food and the environment, and our civilization in general. Whether climate change is your issue, or peak oil, dependence on a global food system that relies on fossil fuels, concern about the environment—all of those issues have one solution: to localize our food supplies and our economies, and revitalize our downtowns. 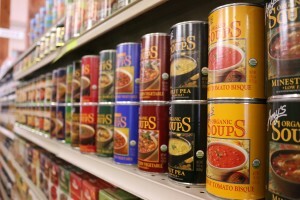 The Woolley Market will open July 26 at 3 p.m. Store hours will be 7 a.m. to 8 p.m., 7 days a week. For more information, go to www.woolleymarket.com. 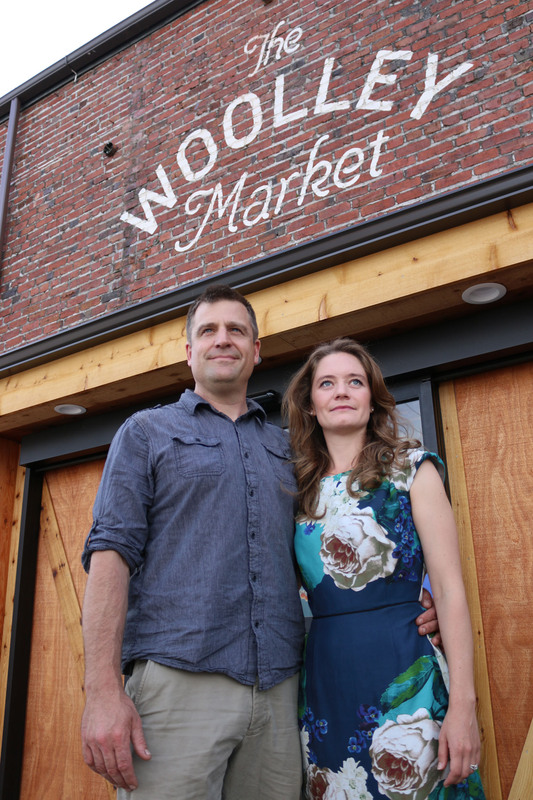 Will and Tahlia Honea—and a bushel of locals—will open the doors of The Woolley Market at the end of July, offering a blend of history and healthful foods, including local produce.